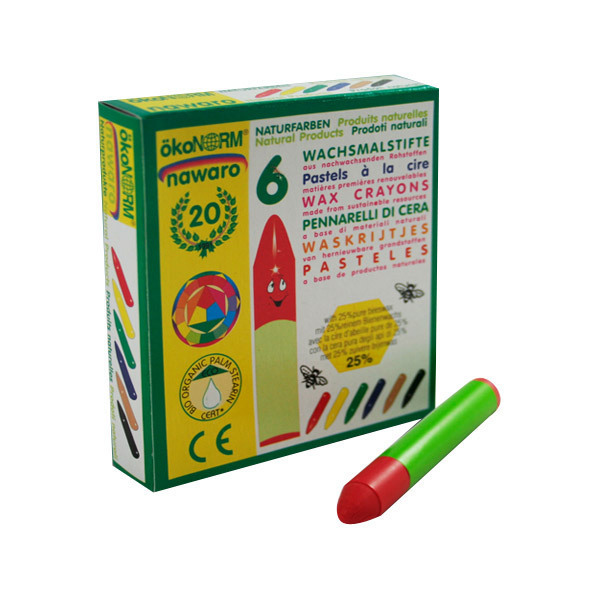 6 colourful wax crayons, for drawing, painting and creative moments! 100% natural oil based and pure beeswax. From 3 years. Made in Germany. Children under 3 years old should be supervised by an adult while using this product. It contains small pieces and risk of choking hazard! OkoNORM offers a range of natural and environmentally-friendly products made ​​from renewable materials without wasting natural resources. All OkoNORM products are compostable or recyclable and economical to use. The packaging is reduced to help reduce the amount of waste. The products are completely non-toxic, natural, healthy and ecologically. OkoNORM's a selection of natural and environmentally-friendly products are creative, colourful & fun, ideal for all kids to use! Suitable for all naturals textiles and papers.